What is the Ultimate Canon Wildlife Camera for 2019? What are the important camera features for a wildlife camera? While any camera can technically be used to photograph wildlife, those serious about the pursuit should invest in a model that will reward the long hours (including often long hours of travel) spent getting a wildlife subject in front of the lens. When everything works out and the perfect animal is in front of you, you want a camera that is exceedingly good at capturing the moment. Otherwise, the time and effort may be wasted and both of those have value – you can't buy more time. Wildlife is frequently unpredictable and often moving quickly. That means a fast frame rate is useful for capturing the perfect moment of action and it also means a top-notch AF system is essential. Wildlife photographers will often need to use AI Servo AF mode to track a moving subject and in that case, having a camera with a substantial number of AF points is especially helpful, allowing for proper subject framing while an AF point is held on the subject's closest eye. Wildlife is typically found outdoors and that means an unsafe and unpredictable environment for a piece of electronic technology such as a camera. Durability and weather protection have greater value in cameras used in the field than those used in many other scenarios. Wildlife is generally most active early and late in the day, times when light levels are at their lowest. For that reason, a camera's low light performance matters for wildlife photography and I strongly-favor full frame imaging sensors for their low light performance. In addition, the ability of a full frame camera to throw the background out of focus is of great value for wildlife photography, giving the photographer an edge in this highly competitive field. Some prefer the APS-C imaging sensor format for the narrower angle of view it provides, allowing tight subject framing with shorter focal length lenses. While there is some merit in this reasoning, remember that the imaging sensor's pixel density is the true measure of reach/magnification. For example, a 50 MP full frame image can be cropped down to an APS-C angle of view with a 20 MP image remaining. Currently, many APS-C models are available with higher pixel density imaging sensors than the highest resolution full frame models and therefore can have at least a modest reach advantage. Here are my favorite wildlife cameras. 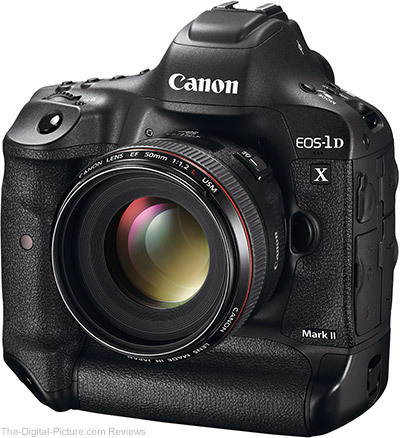 The 1D X Mark II does not have the highest resolution sensor, but it is the best camera in most other regards. This is Canon's most rugged and weather sealed camera, ready for whatever the outdoors brings on. The 14 fps frame rate is awesome and of great value when photographing birds in flight, animals running and simply catching eyes between blinks. The 1D X Mark II's AF system drives very fast and accurate focusing with a large array of focus points to use for tracking the subject. The 1D X II is frequently the first choice for those capturing the action at the Olympics, the Super Bowl and (put any other major event here) and it is just as competent in the wilds. This camera is not small, light or inexpensive, but when getting the image matters greatly, this one reliably brings home the required imagery. If there is action involved, this is the camera in my hands. 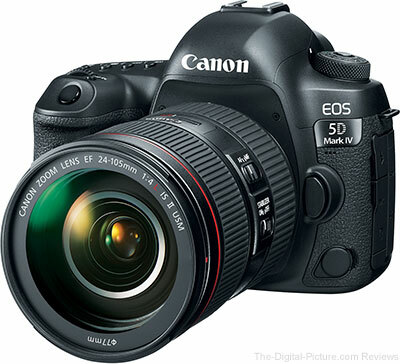 While not as rugged or fast as the 1-Series camera, the 5D IV is still a great performer. The 7 fps frame rate is modest for wildlife use, but often adequate. Much more impressive is this camera's image quality including a much higher resolution full frame sensor (more "reach") and a great dynamic range. The 5D Mark IV is loaded with features and the latest AF technology (including Dual-Pixel AF) and 4K video. This camera has a friendly weight and size, yet it comfortably controls lenses up to the largest available. The price tag being much lower than the 1D X II is a huge friendly factor to many. While I didn't place the EOS 5Ds R at the top of this list, the 5Ds R is easily my most-frequently-used wildlife camera. 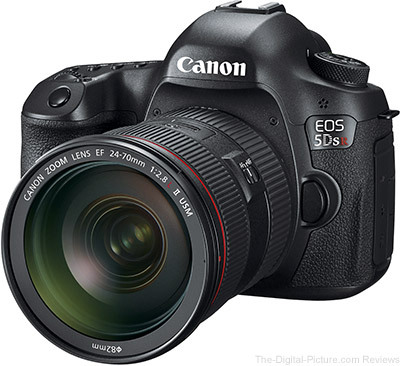 The 5Ds R has subset of the 5D IV's features (albeit a large subset) and with a 5 fps drive rate, it trails the 5D IV in that regard also. 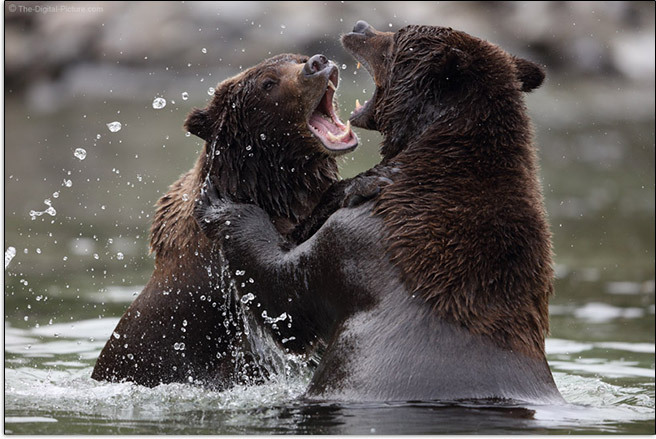 So, why choose the 5Ds R for wildlife photography? The quality of the ultra-sharp 50 megapixel images this camera delivers is simply awesome. I may miss some images on occasion due to the slower 5 fps frame rate, but I'm addicted to the quality of the images I get. And, I usually get a very adequate set from each encounter. Focal length limited situations happen to all wildlife photographers, but when that situation happens with the 5Ds R, the cropping headroom provided by the 50 megapixel images is a huge asset this camera brings to the table. Sometimes, with a fast-moving subject, I use a modestly wider focal length than ideal to ensure that I don't cut off any important parts of the subject, relying on cropping for the final composition. I have more favorite wildlife images captured with this camera than any other. Check out my 5Ds R sample image gallery if you need more convincing. 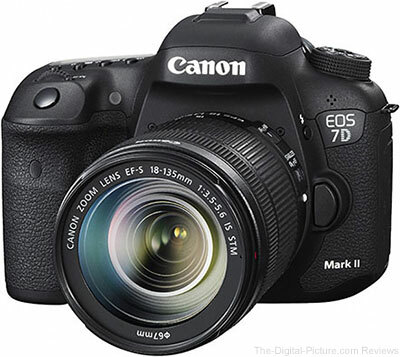 When it was introduced, the 7D Mark II was referred to as a baby 1D X as it is practically a 1-series camera with an APS-C format imaging sensor. The 7D Mark II has a very fast 10 fps burst rate coupled with a very good AF system and a high resolution imaging sensor providing reach. This is an excellent camera choice for wildlife photography. The Canon 80D is one of my top choices for general purpose cameras and wildlife photography is a pursuit often undertaken by someone with a camera of this class. The 80D, featuring a great 24 megapixel imaging sensor, Dual Pixel AF and a host of other technology features, is simply a solid performer with a modest price. 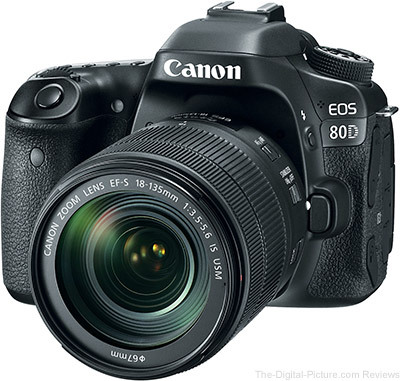 This is a great entry-level choice and even more-advanced photographers will find the 80D getting the job done for them. Wildlife photography requires the right lens, especially one with the right focal length or focal length range. At the same time, the lens is typically the limiting factor in a camera's image quality and the easiest way to improve your camera's image quality is to put a better lens in front of it. The Wildlife Lens Recommendations will help you select the right lens for your wildlife camera.